Meet Adelaide, a model for the Spring 2018 Fashion Heals runway. When asked how old she is, she smiles and responds proudly with “almost 9”. It seems very important to her that everyone knows she will celebrate her birthday just before the fashion show. Adelaide’s journey began in the delivery room at Women’s College Hospital. We had a chance to sit down with Adelaide and ask her about her participation in Fashion Heals. Why do you want to participate in Fashion Heals? I’m excited to participate in Fashion Heals because SickKids has helped me a lot in my life and it feels like a second home. Also, I have a friend who goes to SickKids, and the doctors need to do a lot more research to help him. I want them to make money so they can find a cure. What is your most memorable moment at SickKids? What can La Closette do for you? I’d like to be stylish, but also really comfy at the same time! 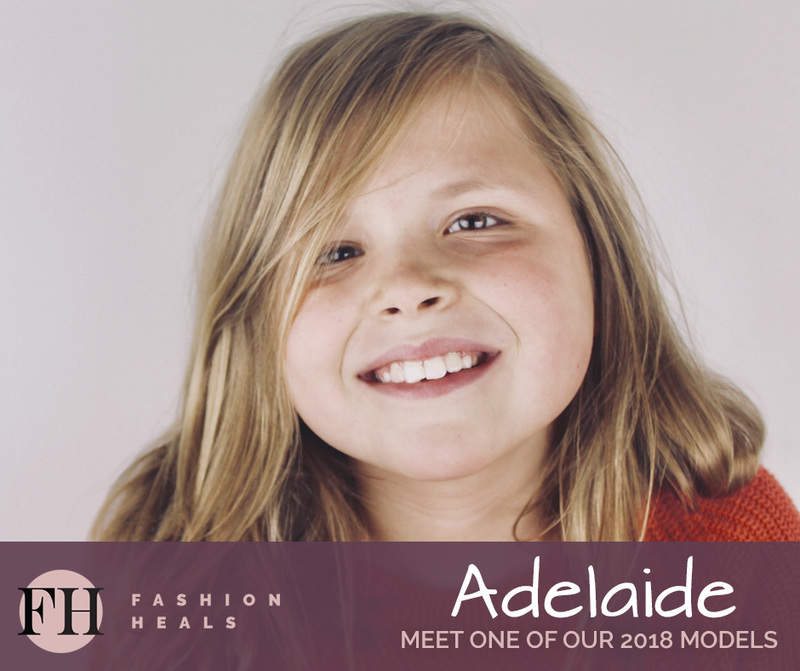 We look forward to watching Adelaide, and other SickKids patients walk the runway on February 7th. Be sure to join us for an evening of fun and inspiration! Get your ticket here!